You are at:Home»Quotes & Transcripts»Getting The Mercy! I got a lot of mercy this lifetime, from a lot of, lot of vaishnavas. 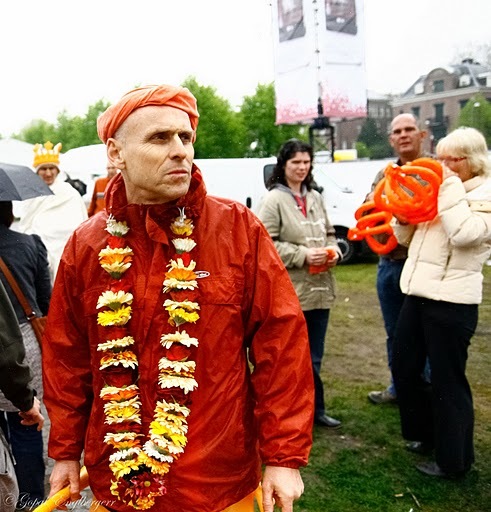 Who, for example- Brahmananda stood on my hand! That was a lot of mercy. I’ll never forget that! That that has made quite an impression! That was in the year that the murti of Srila Prabhupada was being installed. 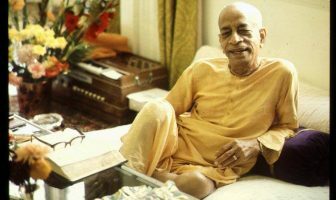 For Srila Praubhupada Samadhi day they had made a big arrangement, for bathing the murti; and they had built a special table for it. But somehow or another, they had made a miscalculation. They put some support bars rest at the legs and as a result the drum that was planned to go under the table to catch all the bathing substances didn’t fit! And it was found out last minute! So I remember that abisheik very well. It’s a very big deity of Srila Prauphada, and we caught some in the buckets! But I also got the full abhishek! And I still remember the honey and there was also co dung! Lots of it, and the cow urine and all the other bathing substances, and I got it all! Then there was a few hundred litre of Yamuna water, which I also remember; and then, yes at the time many vaishnava’s kicked me, as I was under the table – and Brahmananda stood on my hand! 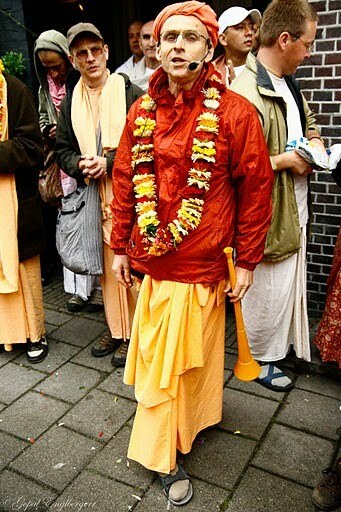 Which of course was a great blessing because he’s very dear to Srila Prabhupada. So I got it – I got the mercy in SO MANY WAYS!